QUESTIONS about this item? Click here to ask! 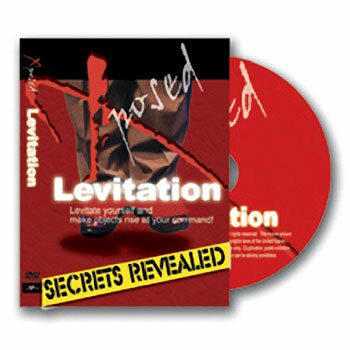 Learn to levitate yourself- as seen on TV! How many do you want? 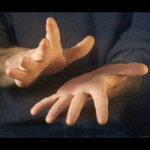 This is the effect everyone is talking about after seeing this trick performed by David Blaine on television! 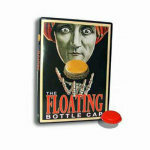 Learn the secrets of making objects seem to float in midair- even make yourself seem to defy gravity! 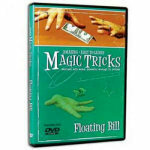 This DVD teaches the Balducci Levitation (self-levitation). The Self Levitation does not require any special gimmick! You will be able to do it in almost any location, wearing your normal shoes, and without using any props at all! It is a terrific optical illusion that makes you appear to hover 2-3 inches off the ground. Some of these tricks require the use of Invisible Thread. If you don't have any, you can purchase some from us. 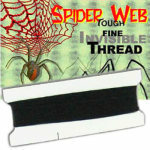 You will need Invisible Thread to do some of these effects. It is NOT included with the DVD, but may be purchased below. Visit our free online Magic Library, full of biographies of famous magicians plus lots of magic history and trivia! Buy this item - get 10 Rewards Points! 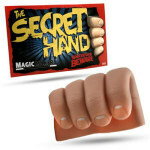 Browse hundreds of easy to do magic tricks in our shop. 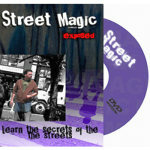 To help you choose, watch a demo video of each trick in action. Tricks are rated by appropriate age group and skill level. Really fast shipping, really friendly live person support. Owner Peter Monticup is always glad to personally help you. Problem? He'll make it right- just like magic! 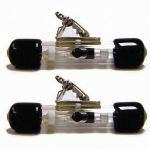 Read Harry Houdini's biography and trivia, see rare antique magic treasures, learn all about the history of magic and magicians, plus learn easy free magic tricks in our Learning Center. Copyright MagicTricks.com. All Rights Reserved.